I believe in the power of lengthy hugs too. *She's not standing anywhere, BTW. I'd give her the Holistic approach. I'm curious though. What could this 'guru' possibly do for Djokovic that he (Djokovic) hasn't already done? I mean, what more can he do? Maybe keep him humble and keep telling him that nothing lasts forever. Can you prove his bad results after FO are due to vegan diet and new age philosophy? He's making excuses. No guru can replace meldonium, you know. Probably the greatest player in the history of the game (in my book anyway). The most complete player ever. A coaches DREAM player. Well folks. Not only has Djokovic lost his mind... but also his already confused fans. How can you be desperate after playing the greatest tennis we have ever seen at the beginning of 2016 (think back to AO), going on to win FO (completing the NCYGS), and even reaching the final of the USO (even through he walked through a couple of matches). A dip I understand. The body might not be willing. Needing a rest etc. But going to a Guru, of sorts, means that there are other forces at work here. Someone has his ear, and it is to his detriment. I think it is Jelena. She seems to be wanting to be seen as a new Opera Winfrey, and the fallout is covering Novak. I'm just hoping Chico reads the forum. He cheats on the court. He's stupid enough to think new age Lurve therapy is going to rehabilitate him. That true or hasrh enough for you ? 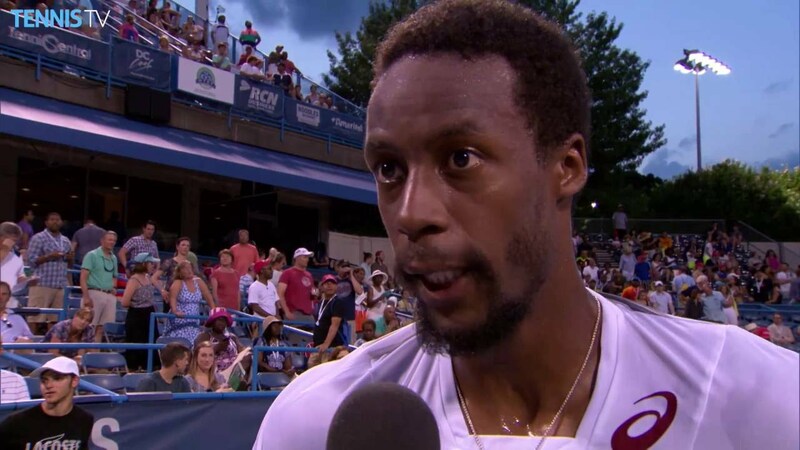 Monfils will not like this. Honest truth: I saw the thread title and hoped to see Gurufils in the very 2nd post. Thumbs up. The fact is Djokovic is a really animalistic tennis player. He screams and roars when he wins and gets frustrated when he misses routine shots. He really kept his rage and coolness in a good equilibrium between 2011-2012. Here we go again. Welcome to the endless debate with 5555. How do you know those results are not due to other reasons? Why do you care ? LOL. You said it yourself - BAD RESULTS - read your own words and weep. "And he's a certified prize winning G1T"
I asked joekapa to prove that Djokovic's bad results after FO are due to vegan diet and new age philosophy and then you said bad results alone are proof. Murray said this "When you achieve something that you've wanted to achieve for such a long time and put so much effort and thought into that, and come close a number of times and not quite done it, I think when you finally do it, you feel incredible for a number of days afterwards. But there can be a low after that. It would be completely understandable to have those feelings. I'm sure a lot of players have experienced that at different stages after big wins in their career. I think it's quite normal.'" Can you prove this is not the reason Djokovic has had bad results after FO? Can you prove there will not be more ? He's been slaughtered at doubles already ! Well Schlokovic is good exemplar ! LOL ! We are discussing what caused the bad results. How do you know that the vegan diet and new age philosophy caused the bad results? We are discussing what caused the bad results. How do you know that vegan diet and new age philosophy caused the bad results? I already answered that question once - by asking you why do you care ? And as I said - bad results from Schlokovic are bad results - you said it yourself. And that is what I'm are discussing. Are there more recent bad results from we need to discuss? Or are we in the future now, and discussing forthcoming BAD RESULTS.....from him. Because I, for one of many, can't wait ! Djokovic will not beat Federer's record. I repeat: will not beat Federer's record. You said Djokovic's bad results themselves prove they were caused by the vegan diet and new age philosophy but you are wrong. Bad results themselves are not proof what caused them. As you said bad results.....As I said, that what talkin' about ! LOL ! In the post #104 you said Djokovic's bad results themselves prove they were caused by the vegan diet and new age philosophy so we are discussing what caused the bad results. Bad results themselves are not proof what caused them. Can you prove what Murray said is not the cause? Djokovic does not have to win 18 slams to be regarded as GOAT. I repeat: Djokovic does not have to win 18 slams to be regarded as GOAT. Djokovic cannot be the GOAT without winning more slams in a strong era. Repeat: Cannot be the GOAT. I don't have to prove anything my friend, in post 100 you said Schlokovic had bad results. Bad results are good enough for me. Ha ha ha ! Djokovic has faced tougher competition than Federer. Repeat: Djokovic has faced tougher competition than Federer. You have lost the argument. Thats an opinion bro. Not fact. What about Rusty Shackleford's statement in the post #127? Is it a fact or an opinion? Thy brain is as dry as the remainder biscuit after voyage. Djoker is losing his mind. Vegan diet is not good for your brain. Nice to see you changing the subject again. If I wanted to comment on Rusty's post I would have have quoted it, but I didn't, so stop trying to change the subject like you always do when you are losing arguments. LOL ! Hey 5555 What going on this picture ? - ROTFLMAO !!!! NewAgeCultovic looks anorexic ! Not enough biscuits if you ask me ! Do you think this is causing the BAD RESULTS you are so confidently talking about ?? Not. Just not. The only tough competition he had was in 2011, and Nadal wasn't even at his best. Why on earth would Djoko's younger brother suffer from depression? The only thing better than being number 1 in the world is getting to enjoy the rewards of that without having to bust your tail. I quote what I said in the post #129: "Djokovic has faced tougher competition than Federer. 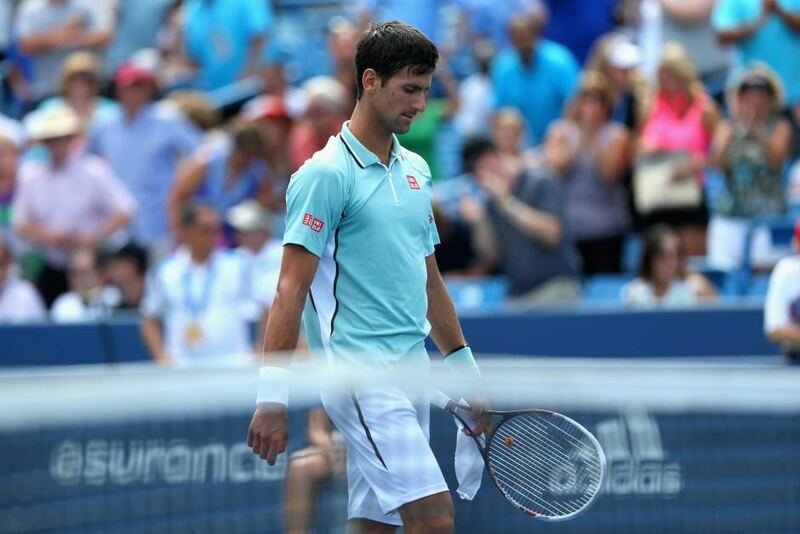 Repeat: Djokovic has faced tougher competition than Federer." This statement is ambiguous. It can be interpreted as a statement of opinion but also as an allegation of fact. I do not need to answer your question whether it's a fact or an opinion. So, your claim I lost the argument is wrong and therefore, actually, you are the one who lost (yet again). Can you prove the loss of weight caused the bad results? is that a fact or opinion? He needs Gary Spivey to make him wonderful again. What happened to a good old fashioned Church ? I would like to be his Guru and guide him on his path to former glory by addressing his needs in a holistic manner, including mind, body, and soul. Right now, his outer journey and inner journey are not in sync. By aligning the two, he will have both external and internal success. Was your statement in the post #135 a fact or an opinion? You failed to prove the weight loss caused the bad results so you lost yet again. Depression is a disease. So it would be like asking "why does Djokovic's brother have high blood pressure even though his brother is tennis #1." Dare we hope he shows up for a match barefoot? Makes it difficult to slide, no?